Brent is the author and creator of TaxHatchet.com — a blog exploring cutting edge developments on state and local tax (SALT). The blog analyzes, discusses and summaries SALT issues, including rulings, determinations and policy initiatives by courts and administrative agencies, as well as tax legislation. Brent, who writes and speaks on a variety of state and local tax topics, is Regional Editor for the American Bar Association's Property Tax Deskbook and co-author of its Indiana Chapter. Prior to joining Faegre Baker Daniels, Brent served as judicial clerk to the Honorable Thomas G. Fisher, Indiana Tax Court, from 1999-2001. He also held the position of adjunct professor of legal writing at Indiana University School of Law–Indianapolis from 1999-2000. David Suess, a Partner in the law firm of Faegre Baker Daniels, LLP, focuses his legal practice on resolving disputes involving state and local taxes, including property tax, wagering tax and complex valuation appeals of commercial, industrial and gaming properties for tax purposes. He has represented taxpayers before Indiana and Illinois tax agencies on a variety of tax matters. David has also represented taxpayers on state and local tax matters in federal bankruptcy proceedings and appeals. David always works to resolve clients' tax problems without the need for litigation, but when that is not possible, he represents clients in all phases of litigation through administrative, court and appellate proceedings. 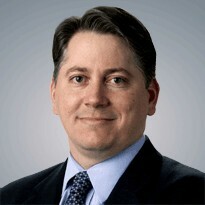 Before joining Faegre Baker Daniels, David was a partner at Bose McKinney & Evans LLP in Indianapolis. After earning his law degree, he practiced for a year at Jenner & Block in Illinois before accepting a clerkship with the Honorable Ronald T.Y. Moon, Chief Justice of the Hawaii Supreme Court. Prior to law school, David worked as a translator-interpreter for a manufacturer in Lafayette, Indiana. Ben Blair is an Associate in the Faegre Baker Daniels tax group, where he concentrates his practice on multistate tax litigation and planning for corporations, partnerships and charitable organizations. Ben represents clients in all stages of the litigation process, including audit, administrative appeals and the state courts. During law school, Ben worked for the Indiana Department of Workforce Development, the state agency charged with enforcing the unemployment tax system. Ben also clerked for the Honorable K. Mark Loyd of the Johnson County Circuit Court. 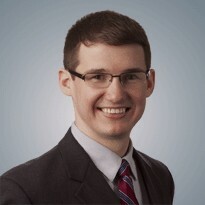 While pursuing his bachelor's degree in Financial Information Systems, Ben spent two years working in finance for a division of Emerson Electric Co.
Ben is an active member of the Tax Sections of both the American Bar Association and Indianapolis Bar Association. Ben is a regular contributor to the TaxHatchet blog and serves as a regional co-editor of the American Bar Association's Property Tax Deskbook. He has volunteered in the Indianapolis Bar Association's Ask A Lawyer program, the Marion County Pro Bono Property Tax Clinic and the IRS Volunteer Income Tax Assistance program. Faegre Baker Daniels has worked with assessors and government officials at all levels, an important factor when selecting a state tax advisor. We analyze real estate assessments and related matters, and we evaluate appeals and negotiate with assessors. If necessary, our lawyers pursue litigation that can produce long-term benefits for commercial property owners. Our seasoned tax team is always accessible to a client's in-house tax professional, responding promptly to requests and taking the steps to meet your needs. However, we also allow our clients to use their own tax department resources as much as possible to minimize cost, particularly on tax savings strategies and restructurings. Our experienced real estate analysts also provide field support on real estate assessment matters. Faegre Baker Daniels tax lawyers are experienced in reducing clients' personal property tax burdens at the state and local levels. Personal property tax systems can be fraught with traps for the unwary, and clients frequently ask us to review their reporting to assure that all exemptions, deductions and credits are correctly claimed. We also consult with businesses on personal property tax planning ideas and have collaborated with national accounting and consulting firms on personal property tax minimization programs for mutual clients. We work effectively and expeditiously with the clients' tax department — as well as its other outside consultants — to achieve the clients' goals in the most cost-effective manner.